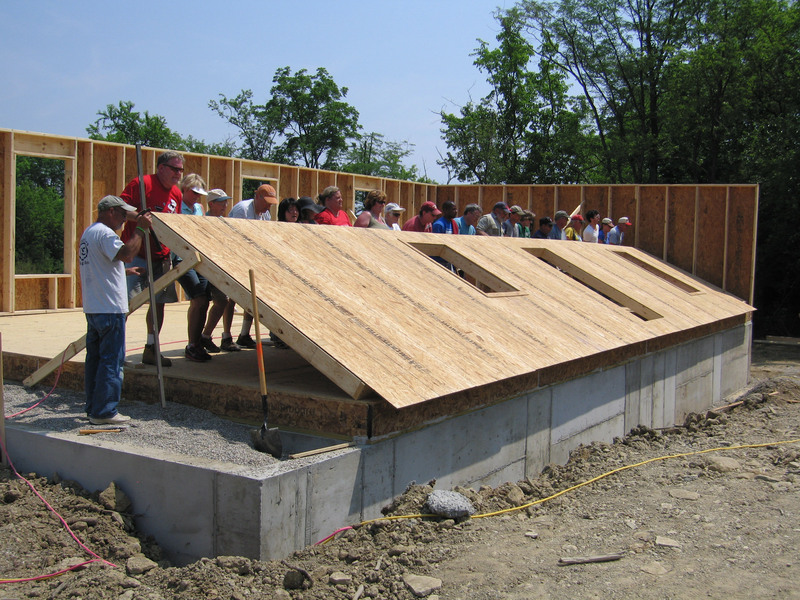 Work on the Habitat Faith Build house, at 701 Carter Court in the new Reckford Woods subdivision of Habitat homes, began in June with several Oxford-area churches participating. The Partner Family for this second home being built is Shawnta Boggs and her daughter Layla McCoy. 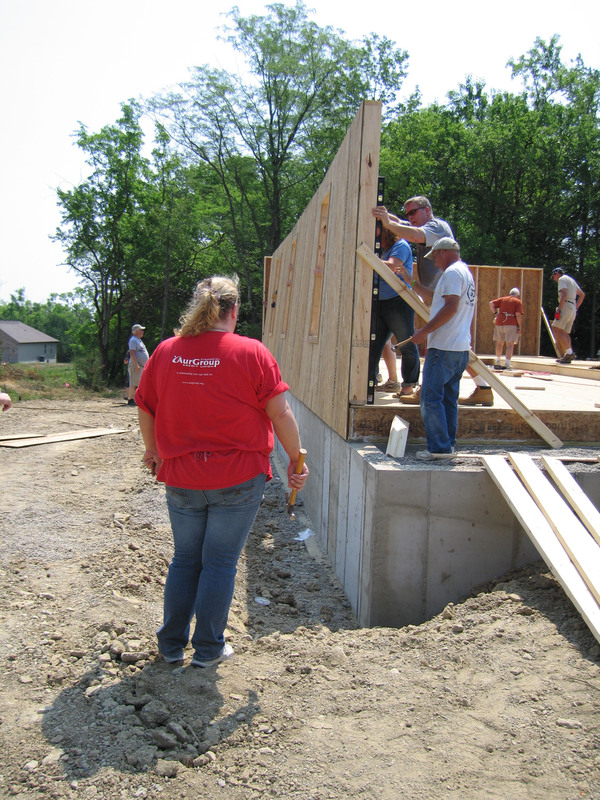 Partners participate in building their new homes, putting in “sweat equity” hours alongside Habitat volunteers. 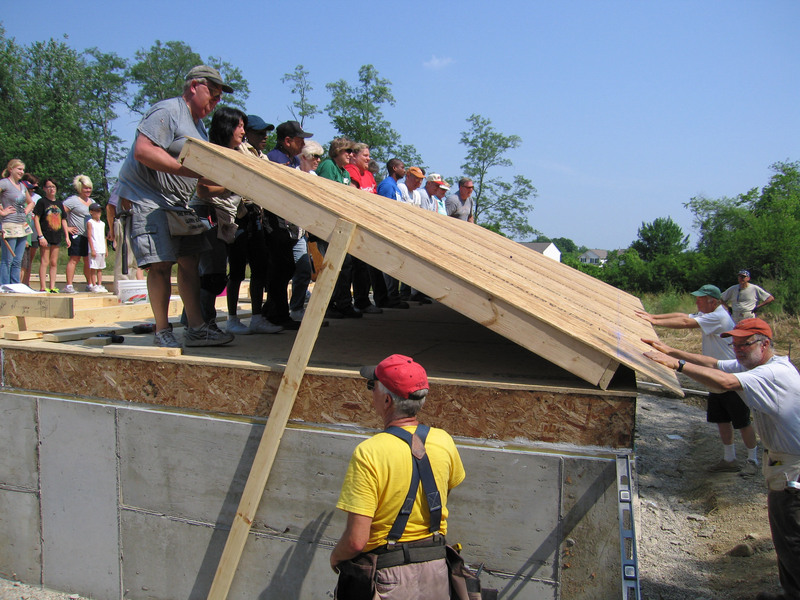 Photos below, taken by Holy Trinity’s own Glenn Julian, are from the June 16 Wall Raising ceremony. On this occasion the first three exterior walls were assembled, then raised following a dedication service. Glenn’s photos show each wall going up in turn. Shawnta Boggs (in red shirt) watches one. 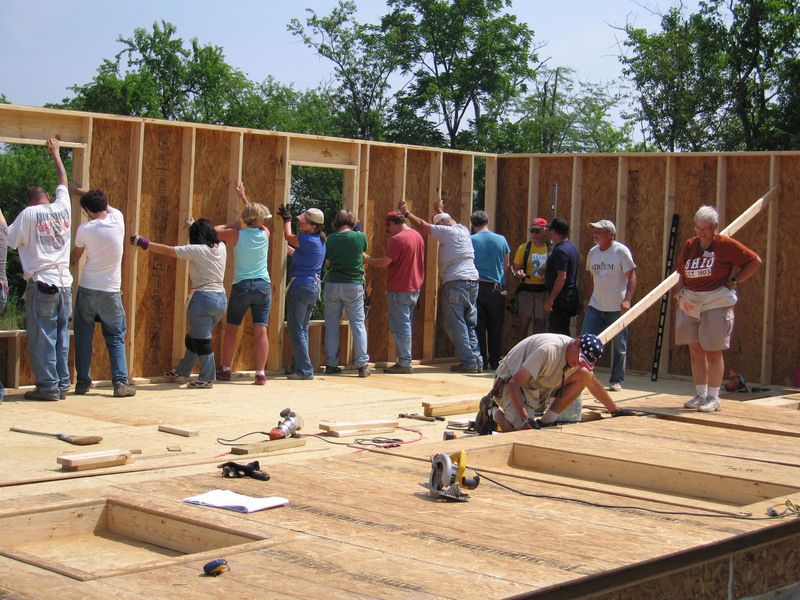 Participating churches in the Faith Build include Bethel AME Church, Faith Lutheran Church, Holy Trinity Episcopal Church, Hopedale Unitarian Universalist Community, Oxford Friends Meeting, Oxford Presbyterian Church, Oxford United Methodist Church and St. Mary Catholic Church. For more information and to add your name to the volunteer list, contact Judy Shaw at shawj@muohio.edu or at 523-3493.